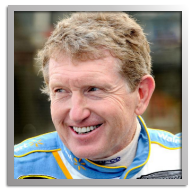 Bill Elliott competed in the SVRA at the 2016 Brickyard Invitational as a special entry in the “Indy Legends” Charity Pro-Am at the Indianapolis Motor Speedway. 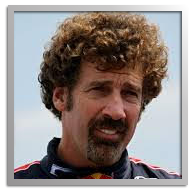 Elliott was the 1988 NASCAR Cup champion and scored 44 race wins at NASCAR’s highest level including the 1985 and 1987 Daytona 500s. While he was previously well established as a top driver on the NASCAR scene, it was in 1985 when he won the “Winston Million” for victories in three of the series’ marquee races: the Daytona 500, the Southern 500 and the Winston 500 that he broke through to superstar status. His million-dollar bonus for the achievement earned him the nickname, “Million Dollar Bill.” Elliott has been inducted into both the Motorsports Hall of Fame of America and the NASCAR Hall of Fame. Bill, working with crew chief Ray Evernham, won the Brickyard 400 in 2002. Boris Said won the SVRA Group 10 national championship at COTA in 2016. He previously raced with SVRA, finishing fourth in the 2015 Group 8 race at Coronado Island. He was the 1997 and 1998 GT3 class winner in the 24 Hours of Daytona as well as the 12 Hours of Sebring in 1998. Early in his career he scored three victories in the renowned SCCA runoffs. Said also competed in the 24 Hours of Le Mans, Australian V8 Supercar races and the X Games. He has received the most media attention for his reputation as a “road course” ringer in NASCAR where he has competed in all three of their national series: Cup, Xfinity and trucks. Said has 48 Sprint Cup races with a pole position and fourth place in the 2006 Pepsi 400 at Daytona. His most recent event was the 2015 Watkins Glen race. In 27 Xfinity races he has one victory and seven top fives. He did two full seasons in trucks with a victory at Sonoma. 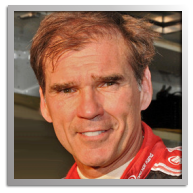 Legendary NASCAR Crew Chief Ray Evernham competed in both the 2016 and 2017 Brickyard Invitational “Indy Legends” Charity Pro-Am as the amateur co-driver to Bill Elliott. He is best known for his work as crew chief with NASCAR champion Jeff Gordon and the “Rainbow Warriors” of Hendrick Motorsports. Together they formed one of the most dominant teams in NASCAR history, winning 47 Cup races and three championships in 1995, 1997 and 1998. Among those victories were two Brickyard 400s as well as two Daytona 500s. Evernham came into notice among the ranks of big-time auto racing when in 1983 he signed on as a chassis specialist preparing cars for the IROC series. Champion drivers gave him high marks for translating their input. Evernham formed his own team after parting ways with Gordon and Hendrick in 1999. Among his top drivers was Elliott who closed his full-time driving career with the team after winning several races. Since moving away from active team management Evernham has maintained a consulting role with Hendrick and served as an analyst for racing television coverage. He currently hosts his own show for the Velocity channel, “AmeriCarna.” The show is a car culture series focusing on the discovery and restoration of unique automobiles and especially racecars.